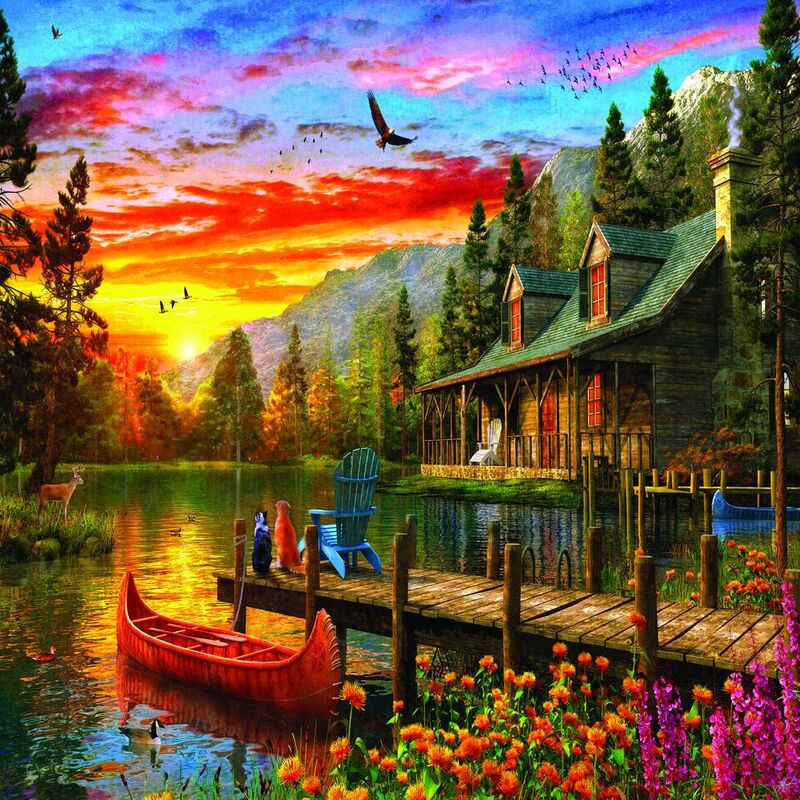 Pull up a cabin chair and break out the smores with this 1000 piece puzzle by Springbok. In the background, a beautifully detailed sunset illuminates the sky with an array of vivid pinks, reds, and yellows. Birds take flight over a tranquil lake, as two furry friends watch the day come to a peaceful close. This was our 2nd Springbok puzzle that we put together, it wasn't very difficult but we had a lot of fun doing it and will purchase from Springbok in the future! My husband and I started working on this puzzle back in June of 2018 in our spare time. It took us until the end of December to complete it. We bought the 1000 piece puzzle. It was a hard puzzle but gratifying when finished. Very beautiful!